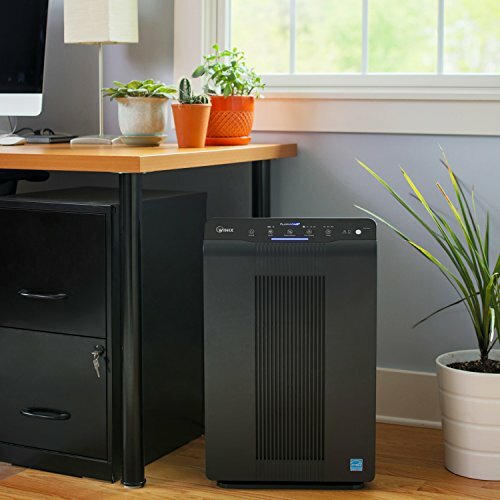 True-HEPA filter captures 99.97% of airborne pollutants; dust mites, pet dander, pollen and other allergens as small as 0.3 microns. Washable AOC Carbon Filter, made from activated carbon granulars for removal of household odors. PlasmaWave acts as a permanent filter to safely break down odor, allergens, chemical vapors and other pollutants - with no harmful ozone. Smart Sensors gauge the air and our Auto Mode adjusts the fan to filter the air as needed; with a sleep mode for silent night-time operation. CADR rated for 360 sq. ft. room size. Suitable for medium and large rooms; kids bedrooms, family rooms and kitchens. CADR [Clean Air Delivery Rate] rated for 360 sq. ft. room size. Suitable for medium and large rooms; kids bedrooms, family rooms, and kitchens. Utilizing our Smart Sensors the 5300-2 consistently monitors the air in your environment. The LED indicator displays the indoor air quality on a scale of good to poor (Blue – Amber – Red). When the unit senses a change in air quality, it automatically adjusts the fan speed to optimally clean the environment. When the filters need to be replaced, the Filter Replacement Indicator LED will illuminate. After replacing the filters, RESET the Filter Replacement Indicator by using a pin or needle to press the Filter RESET Button. However, we could not find out much information about the Plasmawave technology, so we did a little digging. Ok, but we kinda don’t like it when we hear ionizer because of problems with ionizers in the past [like 10 years ago]. Is the Winis Plasma Wave technology safe? CARB in California was one of the first states to ban ion air purifies, so they claim of a safety rating from the CARB is impressive. Secondly, it is possible to turn off the PlasmaWave Technology with the flip of a switch. 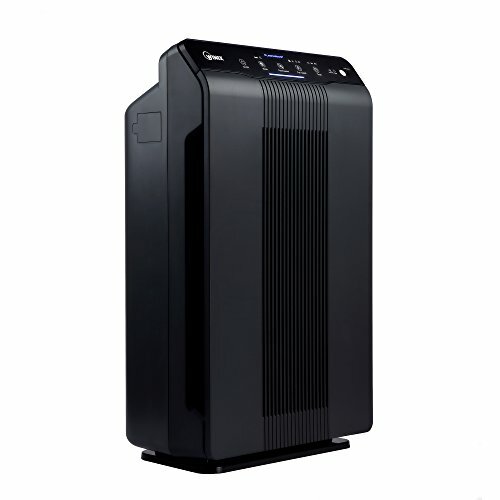 The replacement cost for this air purifier is not cheap. In fact, they are expensive by our standards – in the $150 area. Our Ion safety concerns have been eased by the California certification and the total lack of complaints on the subject. So we assume the PlasmaWave filtering benefits outweigh the our older concerns. Testimonial Verified user It works. Eczema cleared up, allergies cleared up…no more glitter in the air on sunny days! So the only thing we still do not like is the cost of the replacement filter. Although that seems to bother us more than the users. 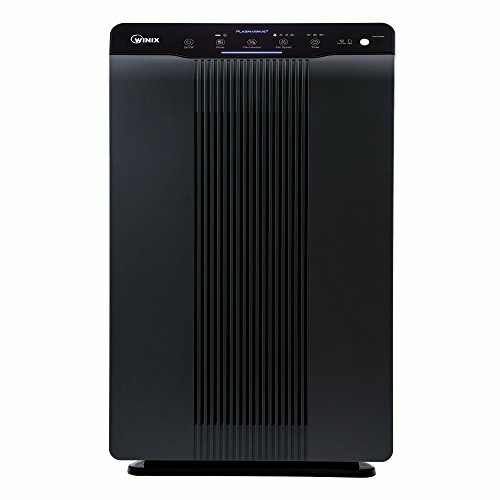 However, the quest for an air purifier in this range for room size is still on despite the Amazon’s Choice Award. 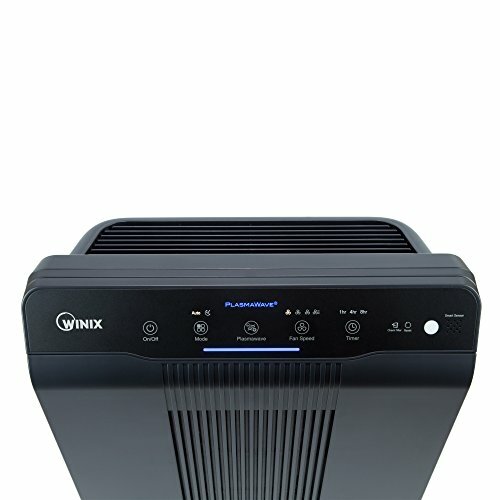 Winix 5500 True HEPA Air Purifier was put through our tough reviews process and came out just fine. 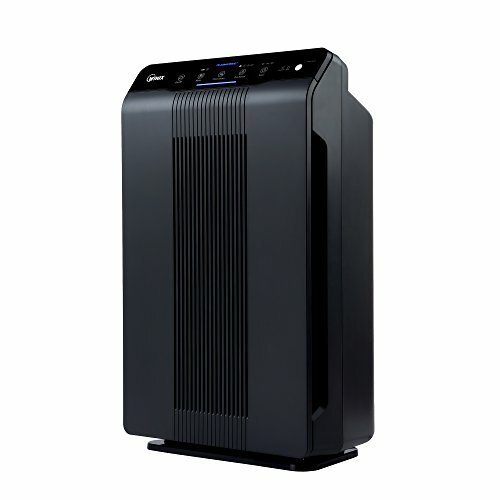 It is a good air purifier for a larger room. Get the scoop!